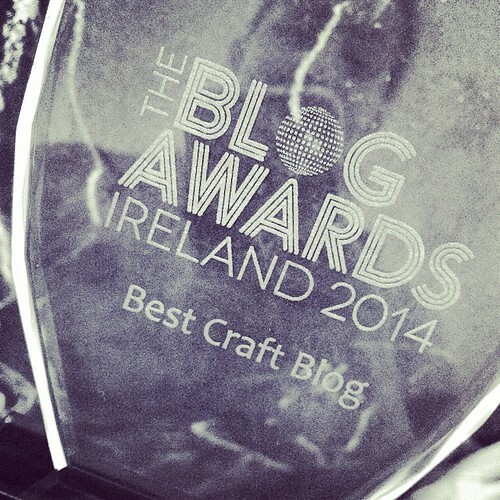 Here I am walking around town, doing my grocery shopping, changing my kid’s diaper, and stubbing my toe on the bed in the middle of the night – all the while existing as the author/creator Best Craft Blog in Ireland. The title is real and comes with a trophy! When it arrived by mail, I may have done a winning lap around the living room with it held above my head while singing the Rocky theme song. A little confession… this is my first trophy EVER in my life. I think I once got a paper mache award for my artwork, certainly made the Dean’s List at University, and have a commendation from the Maryland Governor in a safe place at my parents’ house, but this is the first three-dimensional award that really says I’ve worked hard and know how to use a dusting cloth. It isn’t quite like a sports trophy, but definitely is easier to polish. I feel no different than I did in September, except now when I feel discouraged about not making money as a blogger and wonder if I’m a real blogger, I remember that I was awarded the title Best Craft Blog in Ireland. All the thoughtfully chosen cute craft supplies, the hours spent perfecting a project, the photos, the writing, the editing, and the inevitable wrestling with my son for the cute supplies when he decides if it fits in his hand it must be his. 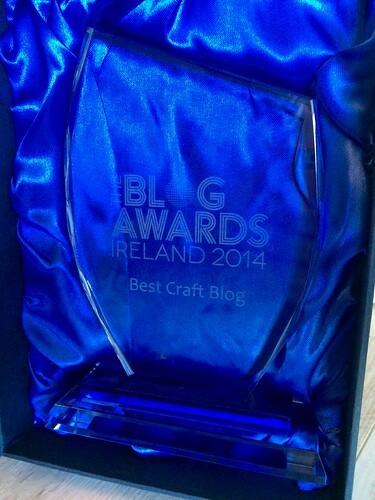 But I must be doing something right to have received this honour and award from The Blog Awards Ireland and CraftBay. Receiving the honour has left me feeling the same in many ways, but also reminded me that I didn’t start out as a craft blog and that even though that is what I do best, I shouldn’t abandon sharing my love of food, motherhood, life, and travel. So, if you started reading my blog since the award publicity and my book, you may be disappointed that it’s not all knitting all the time, but rest assured that’s probably what makes this blog award-winning. It has a little something for everyone and is all about creating by-hand, whether in the kitchen or at the craft table. 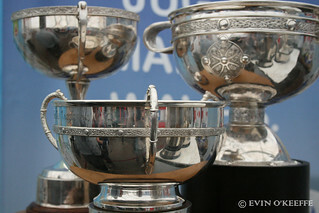 This entry was posted in My Life, Reflect and tagged Awards, blog awards ireland. Congratulations! I haven’t been reading your blog that long but it’s definitely an inspiration and I love to read it. Wow! Congratulations! The award is well deserved! I love reading your blog. It’s so inspiring. I’m truly thrilled for you! Awww, Bonny, you’re so sweet. I mention you fairly often, you know. I enjoy the blog, not just for the crafting but for the snippets of Cork life, view of Ireland through the eyes of a person not raised here, making me think of all those shoes, dresses etc that I should have bought at the time. The award is deserved. For all Cork blogging, read my other blog, 40 Shades of Life.